One of the reasons I’m such a huge fan of UNESCO World Heritage Sites are because it gives you good ideas of where to go when you travel, especially to places that might be a little off the beaten path. 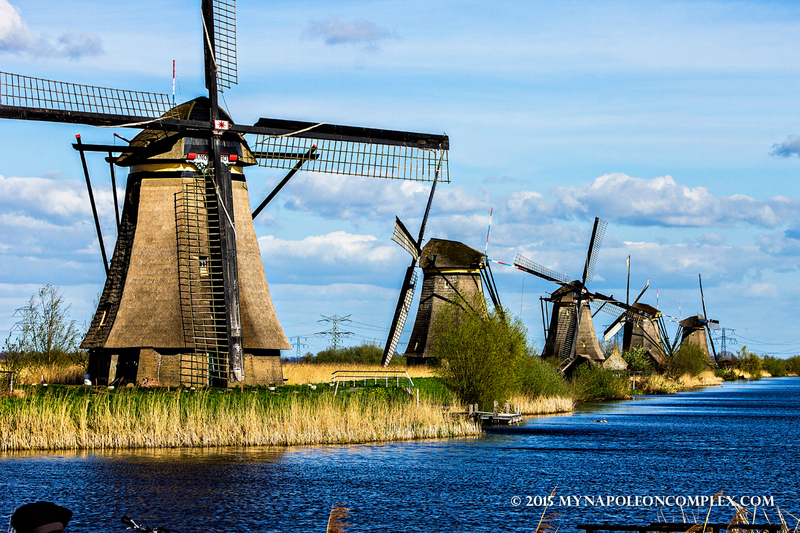 The Kinderdijk windmills that we visited while we were in the Netherlands is a good example of this. 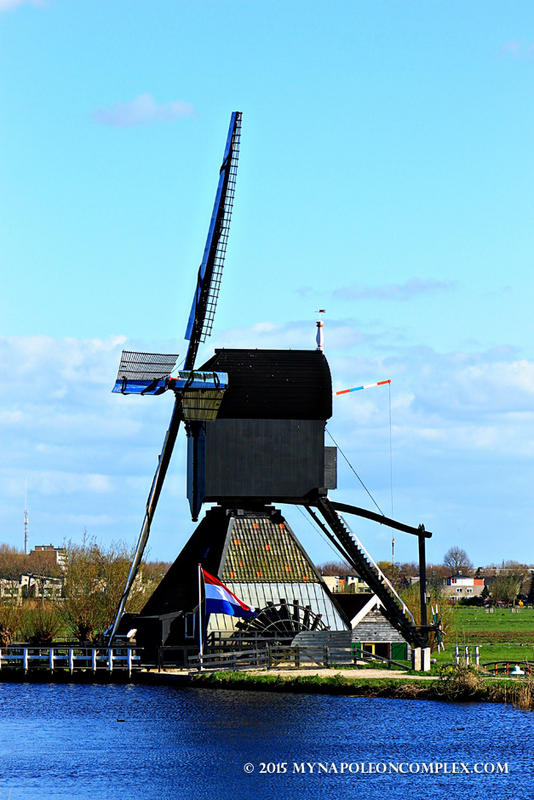 I somehow ended up seeing a picture of these windmills in Google Image Search and once I did a little research, I found out it was a World Heritage Site and I was convinced we had to go. Of course, it wouldn’t have been possible if we hadn’t planned to rent a car for the day because Kinderdijk is located about 15 miles east of Rotterdam and not easily accessible by public transport from Amsterdam (I mean, you could do it but it’s like 2 hours travel and about 5 different connections according to Google). By car, however, it is about an hour and a half from Amsterdam, depending on traffic, and about 45 minutes from Keukenhof (the beautiful gardens I spoke of in my last post). A little cautionary tale about driving to the Kinderdijk windmills: we put the destination in the rental car’s built in GPS and also in Google Maps on our phone and began driving. As we were approaching, there weren’t that many actual road signs leading us in the right direction so we got lost for a bit, but when we eventually found our way, we ended up in a road that literally led directly into a river. That’s when we realized we actually had to take a ferry to cross the river by car. It wasn’t a big deal because the ferry was constantly going back and forth and the price was about 3€ a person, but it was a little bit of a shock because not even Google Maps warned us that this would happen. Anyway, because we arrived after 5 pm, we didn’t have to pay for parking (and there’s a decent sized parking lot at the location) and it wasn’t too crowded with people. Honestly, it was absolutely beautiful, just as beautiful as the pictures I had seen online. 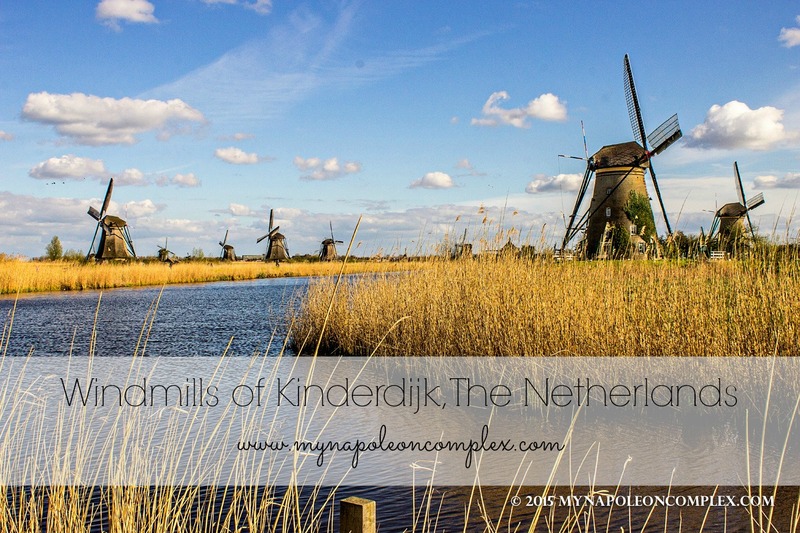 The Kinderdijk windmills are the largest concentration of old windmills in the Netherlands, 19 in all. 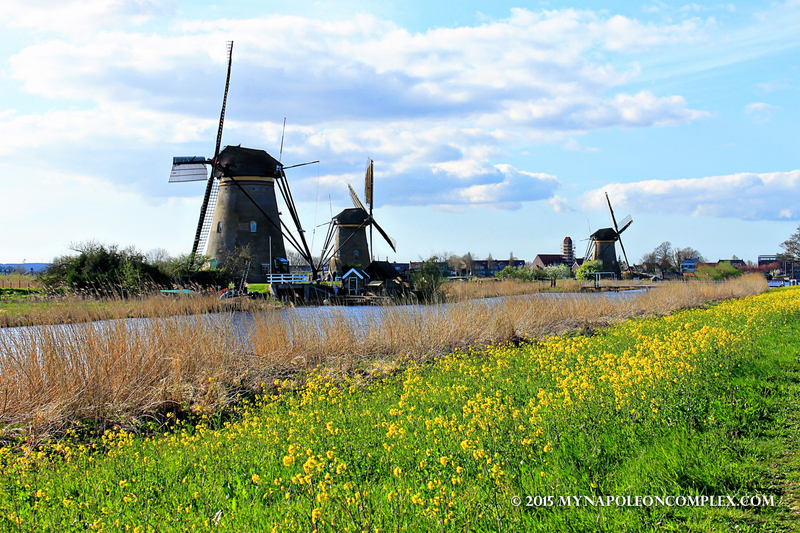 As you can see in the pictures, you can usually get a good amount of windmills in one shot. 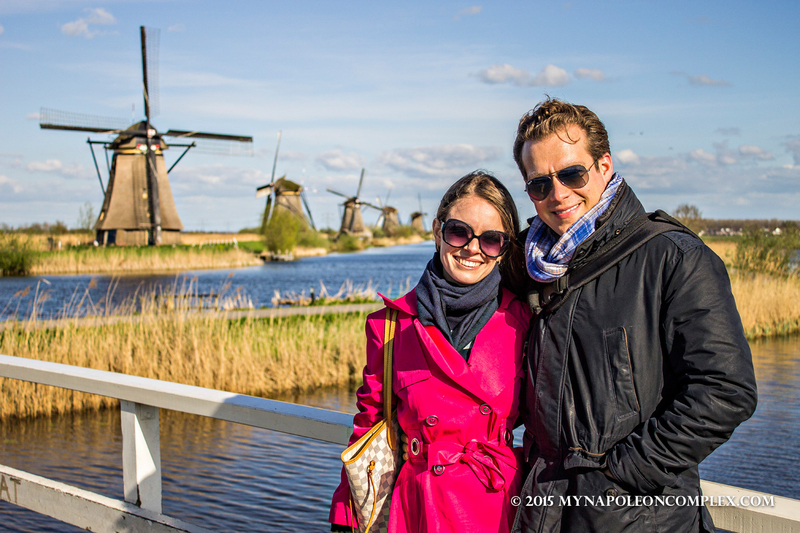 You can walk or bike along the windmills, and there’s at least one that you can pay to see on the inside. We didn’t do it because it was like 7 or 8€ per person to go inside, a little steep in our opinion, but it’s always an option. Soooo pretty! This sounds funny but I saw these while watching the Real Housewives of Beverly Hills ha. 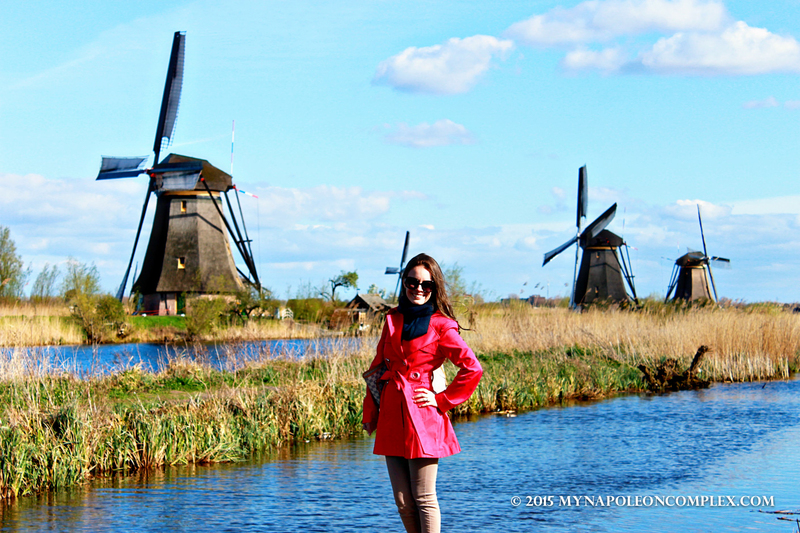 Yolanda is from The Netherlands and she brought the girls to see the windmills. I’m glad the weather cleared up for you! You really are super lucky you got some blue skies out there! When my friend and I went, it was so rainy and dark, the only cool thing being that it made the windmills very haunting. 🙂 Great to find you through Travel Tuesday, and looking forward to following you on twitter!